Like anyone else, Donna Weinbrecht, Olympic gold medalist, needs new furniture now and then. I reached her recently at her home in New Jersey, where she was waiting for a new couch. Makes sense. And it all sounds so ordinary. But there’s nothing ordinary about Donna Weinbrecht’s life. Winner of the first freestyle gold medal in the Winter Olympics, in 1992, Donna has seven national titles and 46 World Cup wins, and is a member of both the National Ski and Snowboard Hall of Fame and the Hall of Fame at the Vermont Ski and Snowboard Museum. She’s also listed as one of the Ski Channel’s Top 50 Olympians of All Time. 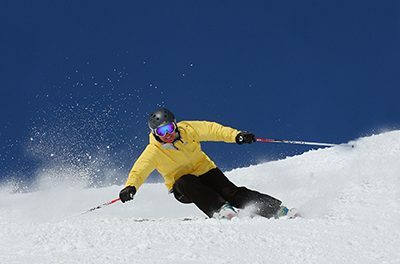 Donna will be leading Killington’s Women’s Weekends, two weekend clinics scheduled at the resort this season. I asked her a few questions about her career and the upcoming clinic. SD: So how’d you start skiing? DW: My parents fell in love with it when they were adults. My father bought land in Killington in 1979 and built our house in 1980, so skiing became a family sport. We were weekend warriors. We’d get in the car on Fridays and drive up 4-1/2 hours to go skiing. SD: What attracted you to the moguls? And how’d you learn? DW: I don’t remember ever being taught how to ski. I loved figure skating, and some of those skills, like good balance, carried over to skiing. I think sometimes people are just born with ability. I see it in my nieces and nephews. Some of them have that gene and pick things up quickly. I learned to ski in the 70s, when hot-dog skiing was booming. I’d see these photographs in the ski magazines of the hot-doggers smiling and having fun, so I gravitated to that. SD: Freestyle can be tough on your knees. How are yours holding up? DW: After I won my medal I had a bad ski injury, so I missed the ’93 season. I was practicing a new jump during a fall camp in Breckenridge. I was a little pitched forward in the air, and when I landed my leg hyperextended. It was a contusion of the tibia plateau, plus I messed up my ACL, meniscus, medial ligament, and I had a fracture, too. That was tough, because my comeback was in 1994, another Olympic year. Despite that, I had a great comeback, I won the overall World Cup, so I jumped right back in. My training was a little hesitant, but that was it. SD: Do you have one win that really stands out for you? DW: I have 46 world cup wins, so it’d be hard to say. But the Olympics were like a childhood dream come true. I never felt more perfect as a person that whole season. There was pressure, but I always had the feeling of being centered. I was on Cloud Nine. It was incredible. SD: So when did you retire from competition? DW: I stopped competing after ’98. I took two years off, but they left the door open for me, so I went for it in 2002. I came very close to making my fourth Olympics. It was fine that I didn’t; I was psyched that I went for it. The team was fantastic. There was so much talent that we could have had an Olympic team within the Olympic team. Since then I’ve been doing all sorts of things: a lot of events, alumni work for the US Ski Team, and Powdergirls, a fundraiser for the ski team that’s held in Aspen. 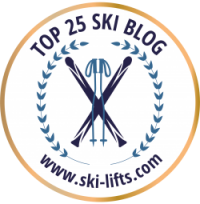 SD: Tell me about Killington’s Women’s Weekend Clinic. DW: I coached at the Killington Mountain School in 2008, and I had all these mothers saying they wanted to ski with me. So I talked to the people at Killington, and we put together a nice fun package for a ladies’ weekend. There’ll be two sessions, one in January and one in February. Each will have a maximum of 30 people. 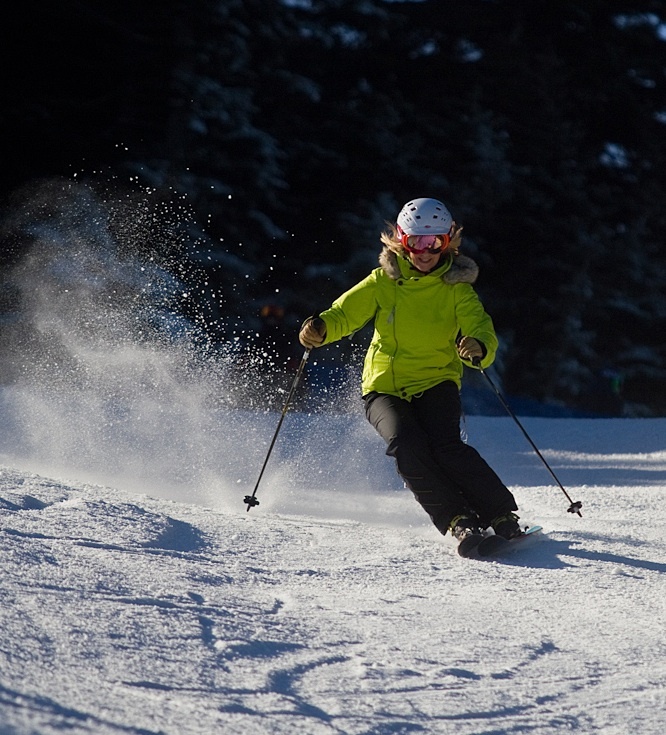 We’ll be working with Killington’s snow director and some of the elite instructors at the resort. We’ll split in groups according to levels, intermediate to experts, and we’ll work on whatever anyone needs – everything from moguls and the shape of turns to the way to carry your poles, pole plants, flat training, and so on, I’m self taught, so I have very organic methods. SD: What’s the most important advice you can give people who want to master the bumps? DW: That’s tough. There’s so much going on. In moguls, you’re absorbing, you have to look ahead, you have to make sure you’re not being pushed into the back seat. They always say that if you have a bad habit, it’s going to be pronounced in moguls. You need to work on your balance, use your vision, and work on your pole plants and the cadence of your turns. Practice in the flats, where you have to do some turns to fall into a nice line. SD: What do you look for in a mogul ski? 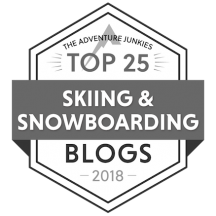 DW: An all mountain ski is better than a carving ski. 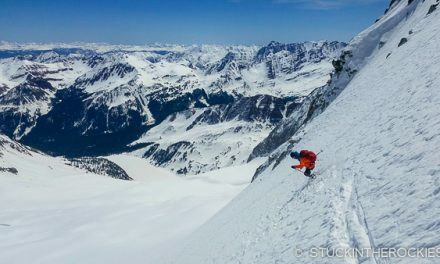 I ski on the Chickadee, an all-mountain ski from Ramp, a new online ski company. The main thing is you don’t want anything that’s too wide or too stiff, because a lot of times you’re driving your tips into the moguls and you don’t want them to push you into the back seat. As for length, I started my career with I think it was 195, ended with 169. I also use shorter poles in moguls. If you start getting really good and you have those early plants on the backside or the tops of the moguls, you don’t want to have to lift a longer pole. You want to be able to swing out and have it connect. SD: What do you prefer: machine-made or naturally made bumps? DW: I prefer natural. But machine-made can be a lot of fun, too. It’s all good. SD: If you weren’t a professional skier, what would you be? DW: After high school, I went to art school, but my art school folded so I moved up to Vermont and worked at a small restaurant near Killington, The Pasta Pot. I made nationals in ’86 and then the following year I thought if I didn’t make the team I’d go back to art school. In ’87 I made the team — they took just one mogul skier out of the east coast My rookie year was 1988 and everything fell into place, and I’ve never looked back. PreviousIn which I am totally star struck.